so that mail is routed to EOP for filtering before it reaches your mailboxes. 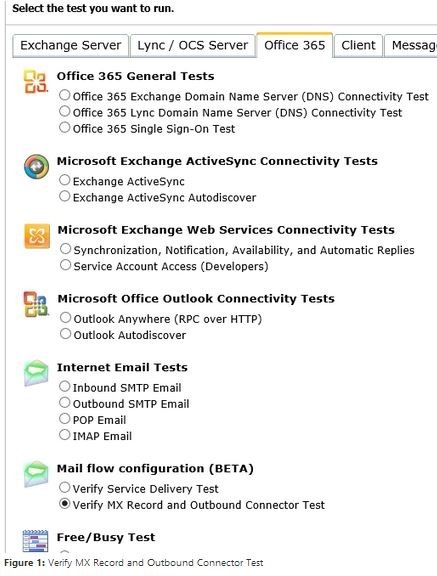 This test also verifies that you have an Outbound on-premises connector configured to deliver email to your on-premises environment. This test verifies that the MX record for your domain points to EOP, so that mail is routed to EOP for filtering before it reaches your mailboxes. Navigate to the Remote Connectivity Analyzer. 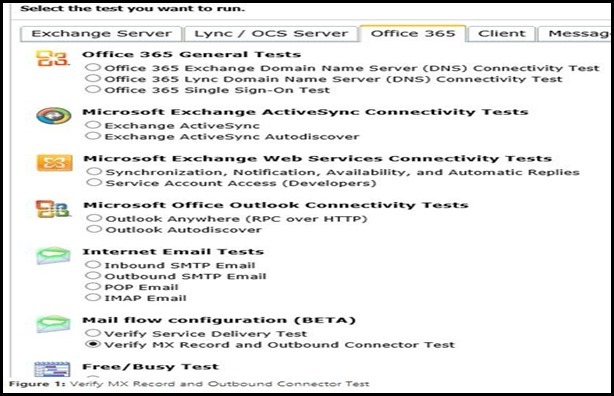 Choose the Office 365 tab, select Verify MX Record and Outbound Connector Test, and then clickNext. In the Domain Name box, enter your domain name. For example, contoso.com. 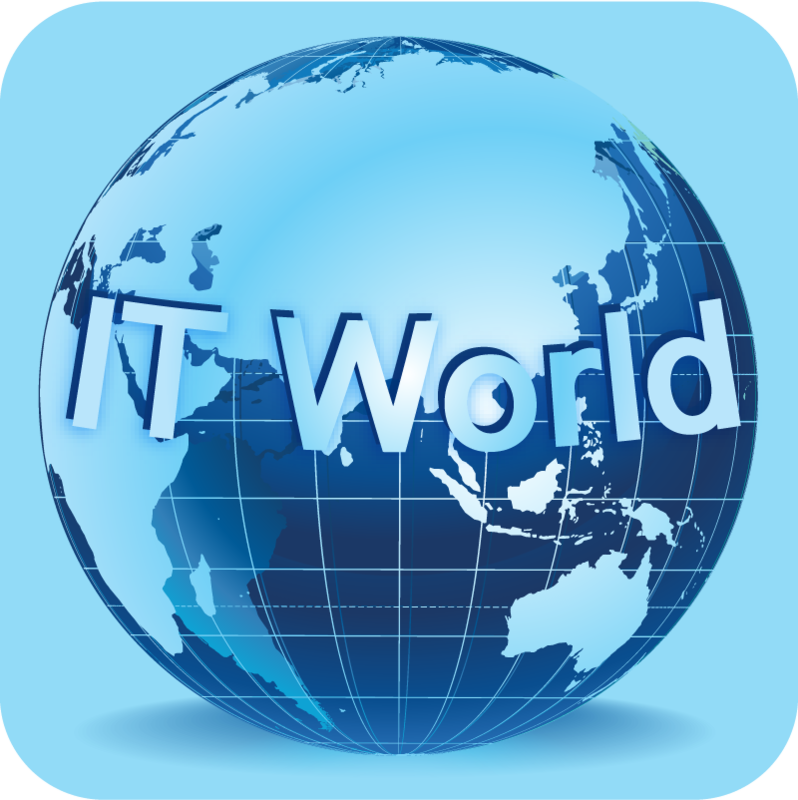 For Service Selection, choose the applicable service, for example Exchange Online Protection. In this case, we assume you have all mailboxes located on-premises. For Select Environment, choose Production. For Microsoft Account, enter your administrator user name. For example, [email protected].